The European Nintendo Download update makes its usual Monday appearance and, this week, has plenty to offer. Another Super NES classic finally hits the Wii U eShop, we have new Wii U eShop software and 3D re-releases gracing the 3DS, along with a lot of very tempting discounts. This week offers something for everyone, so let's get to it. RUSH (Two Tribes, €1.99 / £1.79) — The final part of the Two Tribes Classics trilogy, the first iteration of this title arrived on WiiWare in 2009 as Rubik's Puzzle Galaxy: RUSH, though this Wii U version will be based on the subsequent PC / Mac title. We'll have a review for you on launch day to let you know whether this rounds off the excellent classics series in style. 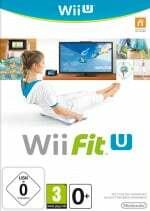 Wii Fit U Quick Check (Nintendo Free) — This is not required if you have the full download version of Wii Fit U. If you have the physical retail version of Wii Fit U, Wii Fit U Quick Check lets you easily transfer Fit Meter data, do the Body Test, and check your graphs without using the Wii Fit U disc. The Legend of Zelda: A Link to the Past (Nintendo, €7.99 / £5.49) — This classic Super NES adventure could be the perfect preparation before unwrapping The Legend of Zelda: A Link Between Worlds as a present; this title would undoubtedly come top in a number of personal Zelda game lists here at Nintendo Life, so its arrival on the latest Virtual Console is certainly welcome. You already know that it's a 16-bit classic, but if you want to know more then check out our Wii Virtual Console The Legend of Zelda: A Link to the Past review. This is the European version of the game. 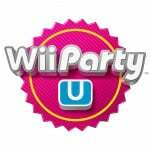 Wii Party U (Nintendo, €44.99 / £34.99) — The eShop absence of this game to date can perhaps be attributed to an eagerness to sell physical retail copies (which include a Wii Remote Plus). In any case, it finally arrives on the platform, offering up plenty of fun minigames to play with others — check out our Wii Party U review for the full lowdown. Adventure Time: Explore the Dungeon Because I DON'T KNOW (D3Publisher, €44.99 / £36.99) — This dungeon crawler underwhelmed on its way to a 5/10 in our review. 3D Ecco the Dolphin (Sega, €4.49 / £4.09) — This series of 3D Sega titles continues with one of the most iconic Genesis / Mega Drive titles; at the time this exploration adventure in which you play the named dolphin was a fairly unique experience. It certainly has the potential to be an appealing 3DS download, so we'll dive in for our review. 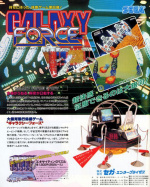 3D Galaxy Force II (Sega, €4.99 / £4.49) — Originally an arcade shooter that transitioned to home consoles, this is an on-rails space shooter with a viewpoint behind your spaceship; it was based on similar technology to Space Harrier. We'll start shooting stuff, and then shooting more stuff, to bring you our review. 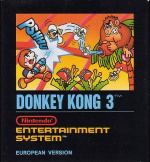 Donkey Kong 3 (Nintendo, €4.99 / £4.49) — The third entry in the original DK series now arrives on the 3DS Virtual Console, not long after it ambled onto the Wii U equivalent. It's quite a departure from its predecessors as you attempt to shoot the big ape with bug spray, which certainly is a change. If you want to know more then by all means check out our Wii U Virtual Console Donkey Kong 3 review. 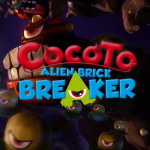 Cocoto Alien Brick Breaker (Big Ben Interactive, €19.99 / £17.99) — This was previously a download-only title in North America at a much cheaper price, earning 5/10 in our review. Those are your choices this week, Europe. Let us know what you plan to download in the poll and comments below. And...after one week of no Wii U VC we get...ONE GAME! Great..
so everyone can stop whining about when a link to the past is coming now yeah? Another dissapointing week on the Wii U eshop. Level 5 3DS sale is decent though. finally A link to the past !!! Been waiting for Link to the Past for a while. I've been saving eShop credit just to buy it. Now it just has to be released in North America, but at least I know it's a strong possibility that it will. I'm looking forward to demoing Nano Assault. Looking forward to diving back into A Link to the Past once I've finished A Link Between Worlds, but it's a real shame that Nintendo seem reluctant to release SNES games on the 3DS' Virtual Console. Aeterno Blade demo for me. I must be the only person on here who doesn't like ALTTP. I am however loving ALBW! Definitely have to check out the Aeterno Blade demo, and will probably download Zelda at some point. "This is the European version of the game"
At the risk of asking what may be a very unpopular question, is Link to the Past really as good as everyone says? Because I've been left feeling a little underwhelmed by quite a few Zelda titles (granted, these have been on the 3DS VC - never played a home console Zelda game before). Aw no Europe love for Ecco now? same here, thought it was a bit overpriced compared to the Wii U version which was about four quid cheaper, but it was great I must admit. I'm definitely picking up RUSH when it becomes available in my region. I've always been intrigued by Ecco & wanted to play it so 3D Ecco the Dolphin may be the way to go. Maybe other 3D SEGA stuffs too. 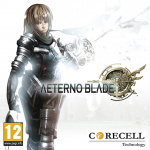 I want to try the AeternoBlade demo. I've been wanting Nano Assault EX for a long time & now seems to be the time to download it, I just hope I still can since it's not available on the Aussie eShop & Nintendo are restricting region changes soon... I might buy Liberation Maiden as I was interested but I thought it was too expensive. Hope to buy Pheonix Wright this week too. I might buy LoZ: ALttP, I've beaten it before but I didn't really think it was that great, at least not as much as people seemed to make it out to be. Like it was the holy grail or whatever. LoZ: ALBW is much, much better imo. I might buy it just to give it another shot as I've been playing through LoZ: Twilight Princess & been enjoying it a lot more than when I beat it 4 years ago. So I might have more fun with LoZ: ALttP a 2nd time round. Edit: Oh & can't forget about the Pikmin 3 DLC too... Wayyyyyy too much to buy. This is the European version of the game. Or, was it just the same as the ntsc version? @Pit-Stain the likely hood of it coming to NA on Thursday is pretty high.... There have been very few discrepancies I believe between the two regions when it comes to VC. Also I can't recall 100% I believe all the big releases have come to both regions simultaneously, save perhaps Earthbound. @Desy64 AM I the only one who got Uncharted Waters? I've played it more than all the 30c VC titles put together. 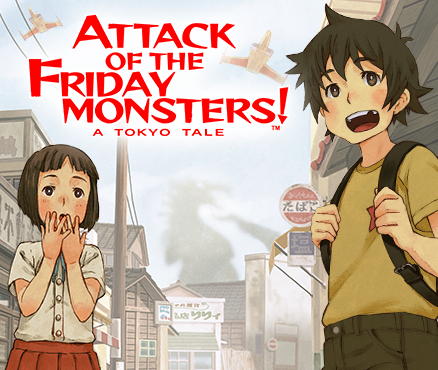 Hopefully the Attack of the Friday Monsters discount makes it to the Americas. And yay, A Link to the Past, athough that really should have been released in anticipation of ALBW, not right after. With the drought of games and VC until February I guess I'll go back to Xenoblade for the 3rd run.. I emailed Nintendo. They have no plans to release Wii Party U as Download Code with a Wiimote Plus and a GamePad Stand. I guess the 44,99€ eShop Download doesn't come with a Wiimote Plus and GamePad Stand. So better buy the disc version new on retail for 39,99€ which comes with both. It's a multiplayer party game that is perfect to have as a download, but this pricing is ridiculous. I'll skip this for now and wait for a better bundle. I'll be all over RUSH though. We need more demos on the eshop, so great to see two this week. So disappointed that it's the PAL version of Link to the Past. I thought Nintendo were learning. Oh well, I guess it's back to emulation for me. LOL wii party u for so much! So tonight's eshop maintenance was so they could fit even more nothing into the Wii U VC? Been waiting for LttP since I got my Wii U. It's probably the SNES game (after Mario World and DKC) that I completed the most times. Does anyone know if the US will get LoZ ALTTP? I'd LOVE to have this on the 3DS as well. @Chunky_Droid Is that a bad thing? I hope this indicates NA getting A Link to the Past. We have the game coming off the club Nintendo so it will not conflict with that.... Also.... that copy of Wii U party is... expensive if you think about it. You spend like $50 (it might be $60) for Wii U party in store and it comes with a $40 wii Remote. @TruenoGT Thanx for the tip!!! Just ordered 4 off their site and picking them up from their store after work. Hoping NA also gets ALTTP this week. Better later than never, I guess. Link to the Past and RUSH for me this week. I've been waiting for Link to the Past for quite a while. I thought about getting it from Wii Shop Channel but my mind always said: "It will be available next week." The only thing I'm wondering is why in the heck would Nintendo make a huge deal about someday releasing Super Mario Bros. 3 on the VC and announce it prematurely (a la Urfbound), yet one of the most illustrious adventures of our time is uploaded (the week after it's sequel is released) nonchalantly. I will never understand Nintendo. They really should release this game on both 3DS and Wii U. I'm starting to really like playing games on the 3DS and it's an obvious companion game for ALBW since it's the games predecessor. The US still hasn't seen Mega Man X2 yet so I doubt that we'll get ALTTP this week. Still waiting for Game Boy Mega Man 5. They should get 2-4 already out of the way cuz I´ve played those. Oh, and Shantae 3D is another one I´ve been waiting for. Vc is in a sad state..ridiculous..
Is it just me, or is this weeks update a little 3DS heavy compared to the Wii U? "Wii Fit U Quick Check (Nintendo Free) — This is not required if you have the full download version of Wii Fit U. If you have the physical retail version of Wii Fit U, Wii Fit U Quick Check lets you easily transfer Fit Meter data, do the Body Test, and check your graphs without using the Wii Fit U disc"
Shouldn't this have been included on the retail disc? Mario Kart Wii and Wii Fit both had little "apps" on the disc. And why does my DL Wii Fit U version still say "Free" after I've linked up my Fit Meter? It makes me nervous that it's going away. And it looks stupid. LoZ: ALttP is still up on the US Club Nintendo for 150 coins. It was supposed to go away yesterday but Nintendo usually doesnt take things away until 9 AM Paciific time, noon eastern today. They probably should stop having end dates on Sundays. My kids watched the video but they wont play anything that looks like that. Can't really blame them. I really hope that Nintendo of America follows Nintendo of Europe in releasing A Link to the Past. I haven't played it as much as I could because I cannot do off-tv play easily. Wii Mode on the gamepad is a nice feature, but it's not easy to be lazy on the couch with both the gamepad and a controller to juggle. Yeah, when I saw that ALttP was in this weeks download (I assume the US will get it Thursday) I hurried to club Nintendo and got the code. I'd much rather pay $1.50 or whatever than $8. If the starship damrey discount comes to NA, I'll get it. Would it of made more sense to release ALTTP before ALBW so that it could attract new players and get older gamers excited for the sequel? only problem is.... Double Dragon is scheduled for release. Unless they release both that and A Link to the Past. Wiiu lttp released AFTER the sequel comes out...why? Good question, and why not on the 3DS as well? Finally A Link to the Past! $1.50 upgrade for me! @Desy64 But we did arguably get the best SNES game released. I cant wait to download and play it through again on the Wii U. @Mainer82 3DS at present does not have any SNES games in VC just GBC, GBA,, GB, NES, etc. So maybe the GBA version eventually. According to www.nintendo.com Grinsia is going to be released this Fall? Well times running out. Where is it? And SMB3. @Nico07 I'd be fine with that as long as I can play ALTTP on the 3DS. I almost bought Attack of the Friday Monsters the other day, but got 3D Space Harrier instead!!!!!! Hope that we get this discount in the USA on Thursday!!!!! Already having all the Level 5 games, it's still a pretty good week. RUSH, Link to the Past (even though I have it on SNES), and the aeternoBlade demo for me. 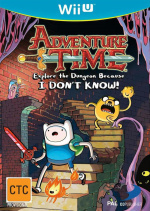 Adventure Time will be a physical purchase, once the price drops a bit. Playing the "Hey Ice King, why'd you steal our garbage?" game now, and it's brilliant. Crimson Shroud and The Starship Darmey for me. Was hoping for a 3DS release of alttp since my WiiU and SNES is right next to each other anyway. but eyh, this week wasn't too shabby. ALttP is 50hz = no buy. Glad to see LttP isn't completely overshadowing Attack of the Friday Monsters. It's a special little experience. Ahhhhh this is nice! I'm still haven't played ALBW because I was hoping to see ALTTP on VC so I can play it first, and here it is!!! Oh but it's for Europe... but it's like 98% probability this is going to be the same download line-up for America as well. We need SNES VC on 3DS, pronto! @Andross Funny thing is it works perfectly at 60hz with a PAL SNES cartridge on real hardware. I really hope the Level-5 sale, Nano Assault Ex demo/discount and Lttp all make the jump. Is NA doesn't get ALttP, I'm going to be sorely upset. I have it sitting in Wii Mode from the Club Nintendo rewards, but I have no Classic Controller to play it (alongside SMRPG). I'm also waiting for Nintendo/Square-Enix to get off their lazy butts and bring FFVI+SoM to NA. I've been waiting months. Rush! Ooh yeah. One of the best ever. Simple but deep. Great stuff. I just bought a GBA cartridge off of Ebay for $15 and its worth every penny to not support Nintendo and their stupid policies of not releasing games in America first as well as not getting their sh*t together with the VC, like seriously they never released games in Europe first and the current lineup of VC games on Wii U is terrible and they still haven't released N64 or GC games and they're very overpriced. For $8 I could get an old retail game for 360 or PS3. Didn't I buy that Wii party U for the same price with Wii motion plus? Yes, indeed I did. Hey if RUSH is like the Wii one it's a great price. Edge and RUSH are a nice change of pace and a good value. Can't wait for US release on that. For those who don't know RUSH it's like an abstract and 3D version of Chu Chu Rocket. Sorry if you don't know Chu Chu Rocket. Don't know why all you Americans are complaining about it being in Europe. You guys get TV shows first, we get SOME games first. @aaronsullivan I loved Chu Chu Rocket! @Blue_Yoshi Definitely check out Rush then. Doesn't have the cute factor as much but it has a nice charm to it anyway. Edge is just addictive and mesmerizing. Not sure if everyone noticed but Nintendo Club rewards should have expired last night. Nintendo updated the rewards to end at midnight tonight. Great time to pick up Zelda: ALTTP. Then it would only cost $2 instead of $8. Wow this is quite an impressive week! I've been waiting for a chance to finally play ALTTP and for the Level-5 games discount for the Starship Damrey. Having a demo and discount of Nano Assault as well as game I know nothing about is also a delightful opportunity! Help please! Nano assault neo for WiiU or ex on 3ds? Thanks! Looks like they are sick of shovelware complaints. NOA, if you don't do this this week, MANY people will be disappointed and you are losing money. Ah, well, I was in the early stages of a Wii VC playthrough of ALttP, but I will upgrade if it comes to North America! At last we will have "A Link to the Past" on WiiU and meybe 3DS VC as well but is extremelly ridiculous that I will be buying both versions, this is the perfect excuse to have cross buy like PS4/VITA/PS3 does nintendo!! @aaronsullivan You sir have me sold with those three magical words... Chu Chu Rocket was one of my favorites!!! Come on, I really want to play ALLP on the 3DS, not my Wii U! I live in America, but I'm sure it'll still come here this week. The only Virtual Console games that I may be playing on my Wii U would possibly be Gamecube and Dreamcast. I want Genesis, SNES, N64, and GBA on the 3DS!! @Obito_Tennyson The 3DS can't emulate N64 games and has difficulty with SNES and Genesis games. GBA games can run natively though because of the similar architecture. Please please PLEASE let A Link to the Past come out in the states too! Please!!! I want to replay this again on my wii u gamepad this time! Check out the new 3D Sonic on the eShop. The game is emulated perfectly and has no slowdown and looks incredibly clear. I'm looking forward to more Genesis games being put on there now! Sega needs to teach Nintendo how they did it. @Windy: What an awesome week for EU. I hope we have the same discounts in NA this week. I hope to see either Double Dragon, Blaster Master, or Crash 'N Boys Street Challenge for the 3DS VC as well. @FutureAlphaMale Already got it! . They've done an excellent job with it. Nintendo should make their SNES games into 3D Classics, especially A Link to the Past. @datamonkey I would buy way more VC games if they did that.